Super Nice Infinity Reference Two 2-way Bookshelf Speakers - (OAK) RARE VINTAGE! infinity center channel speaker. Condition is Used. Shipped with UPS free of charge. I bought this a year or so back. Please see pictures! Speakers need to be refoamed. Otherwise, speaker is in excellent condition. Not sure of the specific model but I’m sure it’s easily found. 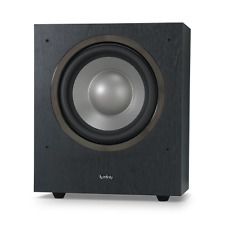 Infinity Reference RC263 Center Channel Speaker - Black Oak. INFINITY TSS-450 POWERED SUBWOOFER ONLY. This unit has been tested and is in working condition. Infinity OUTRIGGER JR Outdoor Speakers Pair high quality great sound. Condition is Used.Item has been tested and is found to be fully functional see pictures for details. Infinity BU-120 Powered Subwoofer. Condition is Used. Shipped with USPS Parcel Select Ground. The receiver and speakers in the pictures are exactly what you will receive. No boxes are included. In good working condition. No holes in cloth cover. 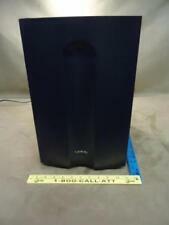 UP FOR SALE IS INFINITY ENTRA SUB POWERED SUBWOOFER. 10" FRONT FIRING WOOFER WORKS AND LOOKS GREAT. THIS SUB IS IN FULLY WORKING ORDER, ALL FUNCTIONS WORK EXCELLENT. DESCRIBED IN OUR ADS, WE WILL RESOLVE THE ISSUE(S) WITH. Proceeds are used to support local programs and services. We promise to resolve your concerns quickly and professionally. 15-125W amp @ 8 ohms. Infinity minuette speaker set. Good preowned condition. Please refer to pictures for the final condition and details. All sales are final. No returns. If you have any questions or need any additional info please feel free to message me anytime prior to bidding. LOOK AND SOUND GREAT.SPEAKERS ONLY, NO MOUNTING HARDWARE. Color Charcoal. Woofer Surround Not Given. Speakers are in vg well taken care of conditions & they sound great. Mounting Bracket Included Yes. RMS Power Range (watts) 10-100. Impedance (Ohms) 8. 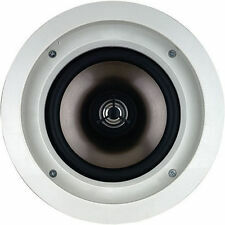 Infinity Kappa 902-3054 12" Woofer Kappa 7 8 9 - 8.1 8.2 9.1 9.2 Great Surrounds. Woofer works great and was pulled from working Speaker. Please see pictures for additional detail on physical condition. Good shape missing one cover. Condition is Used. Each ported, injection molded enclosure houses four 3" full-range drivers mounted at 30-degree angles. black/gray poly enclosure. handles up to 80 watts. sensitivity 88 dB. Used Infinity Minuette Center Channel- Tested no issues. Type: 2 way, 3 driver center channel loudspeaker. Has only minor scratches and or blemishes from normal use - Check out the photos, you will receive exactly the speaker you see. Pre Owned Infinity Reference Subwoofers 1262W. They are in used/working condition. The specs are below. Type 12" (300mm) Dual-Voice-Coil Subwoofer. Amplifier Power (RMS) 300 watts. Amplifier Power (Peak) 1200 watts. Pair of Infinity EMIT Ribbon Tweeters RS 1.5 INFINITESIMAL RSE RS e 490124. Condition is Used. Shipped with USPS Priority Mail. I have also listed the tweeters and still have the cabinets and grills. Just ask if you need it quick. Local pick up is always fine! Nice 3 Speaker Surround Sound System. These are the Infinity Total Solutions Sat 750 models speakers. 2- Side Speakers approx. NEED Speaker wire???. WE have approx. 300' of indoors 16/2 wire available. 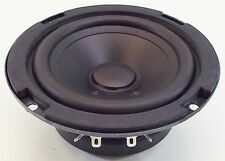 Infinity 10" Subwoofer C.M.M.D Driver Woofer 4Ω as pictured. RS1B, IRS delta, Kappa 6 7 8 9 and many others. Service provided Prices will be quoted after service type required needed is discussed. High-efficiency polypropylene woofer cone with large-roll rubber surrounds ensure efficient, clean bass. This sub has been previously owned and is in great working condition. What is the history of the item?. Previously owned and in good working condition. Speakers have been tested and work well. View Photos for details. Power Range: 15-125. What is the history of the item?. We test them and picture their current condition. 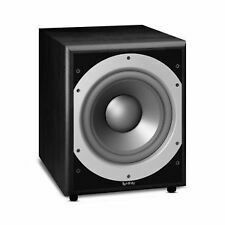 THIS IS FOR A USED INFINITY BU-1 8" WOOFER THAT IS IN VERY GOOD WORKING CONDITION. WEIGHT IS APX. Model: SS2001. Make: Infinity. Tested together on site and they produce amazing sound! This is a Sale for a Pair of Pulsating And A Ding To The Top Rear Of One Of The Cabinets. (See Photo). We promise to resolve your concerns quickly and professionally. These are heavy duty driver that have excellent quality bass! The bass is tight and strong! Box is in poor condition, and has been opened. 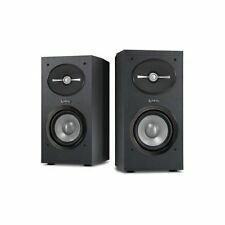 Infinity Reference R162 Bookshelf Speakers - Black Oak. Infinity Minuette 3 Satellites Speakers 1 Center Channel Surround Sound System. Condition is Used. Shipped with USPS Priority Mail. Still in good condition and ready to be used in your home for surround sound. Only comes with 3 satellite speakers. Will ship quickly. Feel free to ask any questions! Thanks. Used in Great Condition..Looks Great Sounds Awesome. This speaker has been tested and is fully functional. It is in excellent condition with no wear or chipping on the cabinet. If an item is broken when you receive it, I will gladly take care of the problem. Single NEW Infinity Entra One or Two Grill as pictured.